The real question about Ruger's new SR556 is: does it shoot and will it continue to shoot when you need it? The answers are yes and yes — and then some. Out of the box accuracy was astounding. The 16.12", Chrome lined, 1:9 twist barrel provides more than adequate accuracy. I shot magazines loaded with random brands of ammunition. Federal's TRU 55-grain, Hornady TAP in 55-grain and 75-grain, ATK's XM193 and ICC's frangible. It fed every thing given to it with no malfunctions and yielded between MOA groups to 2.5" groups consistently. It seemed to really like the heavier bullet weights best. One complaint I've heard about op-rod system guns is an increase in felt recoil and this one kicks like a .375 H&H — not! For crying out loud, it's a 5.56/.223. There is no recoil — and if anyone is bothered by this nebulous increase in the recoil of an op-rod system AR, they need to find something else to do — collecting butterflies comes to mind. As of this writing, the gun has gobbled a mixture of ammunition amounting to over 2,000 rounds with absolutely no gun-induced malfunctions and only one cleaning. I did have one failure to feed issue using a metal magazine, but changing back to the Magpul P-Mags took care of that issue. 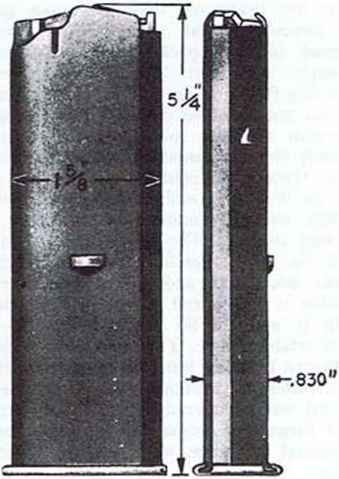 An inspection of the metal magazine revealed bent feed lips — a common problem when the mag hits the ground while still containing ammo. Please — it's an AR. It comes apart just like any other AR. I will not embarrass you by going through the entire sequence of steps. The lawyers had Ruger do that in the User Manual. The only difference is the gas regulator system at the front of the upper receiver. The gas regulator, indent stop spring and push rod are easily disassembled for cleaning. Ruger has long been known for building tank tough firearms that can take a beating and still perform at a level you need to protect your life or that of loved ones. The SR556 comes from the factory equipped with just about everything you'll need to accomplish that task.